Girolamo Aliotti and Alex Goretsky at La Stazione in Dogpatch after finishing off a trademark Nutella Latte. 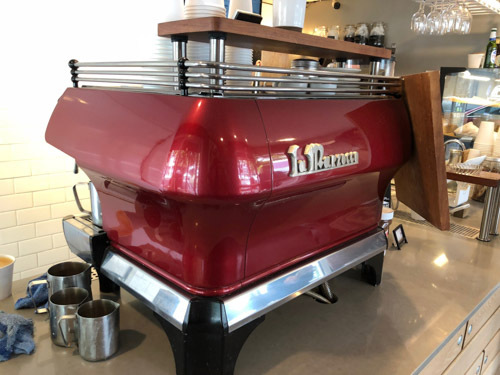 Despite the efforts of Potrero Hill (AKA: upper Dogpatch) to claim La Stazione Coffee and Wine Bar as their own, the truth is the espresso and wine bar lies firmly in Dogpatch territory. But we don't mind sharing. After all, where else in that area of Dogpatch can you get your caffeine fix pronto as you are running for the train whose station steps are literally right behind the aptly named cafe? Or perhaps a late afternoon glass of wine as you wind up a day's work or long train ride? 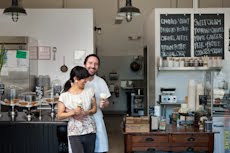 Owners Girolamo Aliotti and Alex Goretsky, business partners as well as life partners, welcome all who pass through their doors for coffee, wine, a panini sandwich or one of their many locally made treats from Dynamo Donut or BlackJet Baking Company, among others. We are both from immigrant families -- we see hard work as something that can bear fruit and bounty for the long run. You must work hard for what you want. That is the one of the main lessons from our families. So that is why we do this -- to provide a future for our family. One of the unexpected benefits has been all the friends we have made -- we met them first as customers and now we think of them as family. We feel like our little cafe is at the gateway to Dogpatch with the 280 freeway being the gate. My family is a family of fishermen from Sicily. Overfishing had created a scarcity of jobs in the fishing industry there so thanks to my dad's older brother who sponsored him -- we moved to California to Monterey in 1989 so he could work in the fishing industry there. There is a huge Italian community there -- the neighborhood is nicknamed Spaghetti hill! My mom also worked -- she had a daycare in our home for more than 15 years. Alex Goretsky and Girolamo Aliotti at La Stazione in Dogpatch with the rest of the morning team. I have three siblings -- I'm the middle child -- and none of us spoke English.That made school difficult but my classmates and teachers at school and in the community were so helpful to us. But we were still an Italian household -- once you opened the door and crossed the threshold at home you only spoke Italian! Being in such a close knit family and community made me want to go away for the college experience. I was the first in my family to go to college. I decided to go to Chico State -- I had fallen in love with the campus. Even though I knew I wanted to be an artist -- I was always drawing -- I studied computer science but with an emphasis on graphic design. My family was worried I would be a starving artist so that was a compromise. But I knew zero about being on my own. I could cook but that is about it. After two years I felt ready to come home. I took about a year off then went to CalState Monterey Bay to finish my graphic design degree. I landed a great job as a marketing manager at the Monterey Plaza Hotel. I spent my weekends with my friends in San Francisco. I met Alex in 2006. We dated a year then I moved to SF to be with him. We lived in Twin Peaks at the time but moved to Dogpatch in 2007 -- a friend who lived in this building clued us in when a condo became available to purchase. This was right before the economic downturn. I had a job at a startup doing all their packaging and design work. The start up failed so we needed to figure out what we were going to do now that we had a mortgage and only one income! I love figuring out how our customers can have a great experience. Many customers who are catching the train cut the time a little bit too close. We like to spoil them by having their coffee ready fast so they still make their train. Sometimes we even run the coffee down to them if they had to leave before it is ready. One customer who I did that for said it made her day and restored her faith in humanity! Now that's a good feeling! I guess I like the business analysis part of the business given my background -- I like figuring out the pain points for customers then improving on them for the best experience possible. My family moved to the U.S. from the Ukraine in 1991. We settled in Pennsylvania first but my parents and sister are now in California. I went to Caltech for undergrad and then Berkeley for graduate school. I studied chemical engineering. I wasn't interested in getting a PhD which was the logical next step. I knew I could use my skills in the energy sector or in semiconductors so I chose semiconductors. I worked at Novellus Systems on the technical side. I went to San Jose State at night to get my MBA and then made a move into marketing at Novellus. I decided I didn't want to spend my life around chemicals and I was excited by the travel that I knew I would get to do as part of the marketing department. I was there for six years -- eventually the company was acquired by LAM Research. I got interested in IT when I worked with an outside IT firm to help automate our companies systems. I eventually left Novellus to work in IT consulting firm called Essention which is my other full time job! La Marzocco Espresso machine at La Stazione in Dogpatch. We had a spare room on the ground floor that we used as a guest bedroom. We always joked that if we ever lost our jobs we could open a coffee shop in that bedroom. We decided to see if there was enough foot traffic to support a cafe. We took turns standing at our window with a counter we would click every time someone turned the corner. We did this for about a week from 6 am-5 pm. We decided it was worth a shot. The train gave us a built in audience. We figured even if 10% stopped by it would be worth it. Plus we knew the neighborhood was growing more each year. We opened in 2009. We used every cent we had saved to buy the best espresso machine in the industry -- a La Marzocco. We did all the work ourselves. We painted, etched the concrete floors, everything. I had a lot of customer service experience but neither of us had experience running a cafe. My brother had worked at Starbucks for six years. He trained us how to make drinks. He said we had to have a signature drink and that is how the Nutella Latte was created. He said, "we are Italian and grew up eating Nutella. Forget Mochas. It needs to be Nutella and with a heaping spoonful in a teaspoon just like we used to eat it." And now it is our best selling drink! We went to all the coffee shops in SF to ask questions. Some owners were happy to talk to us and some not so much. The owners of The Creamery were so helpful and told us about something called the Third Wave of Coffee trend and said we had to have the best coffee. 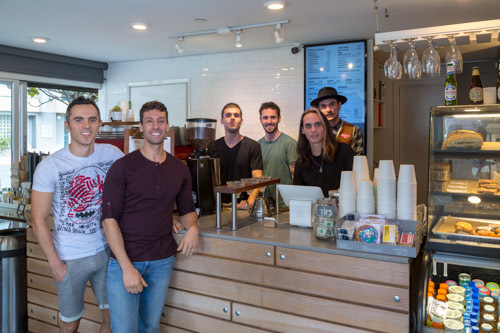 To them the only coffee to serve was Ritual Coffee and they introduced us to Eileen Rinaldi, the owner of Ritual Coffee Roasters. We had zero employees for six months. 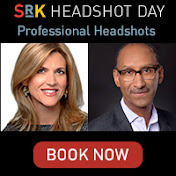 That's how we got to know all of our customers so well. Every year we see growth in the business. Now that the neighborhood has even more residents we hope to expand our hours, focus on our wine program more and maybe even have more outside seating. When we first started the cafe I was still working at home so that was helpful in the early days when we were doing all the work ourselves to open. Given my background I was good at getting all the systems in place. We are also proud of our staff. We discovered that a lot of people in the food and beverage industry feel a bit beat up after working in that world for awhile. We treat them like an extended family. One thing I learned from my consulting business is if you treat people with dignity and respect and give them flexibility in the decision making they feel some ownership of the business. People can really blossom here. I'm proud that even people who have moved on still come back to visit or to work a shift or two. What do you love about Dogpatch? We love that it is sunny and flat! The community has been so supportive of us. We love how we can stroll down the street with our daughter and all the shop keepers say hello and often come out to check on the baby. It is like a small village. 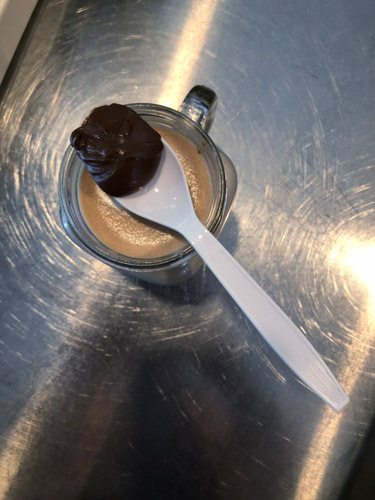 The Nutella Latte at La Stazione in Dogpatch comes with a spoonful of Nutella right on top.